Nick Fury being the sole reason we even have The Avengers, and a consistent factor among the Marvel Cinematic Universe, was thought to get his own film in the near future. With his importance to the success of each individual superhero, the rumored S.H.I.E.L.D. film might take a back seat for now with the recently announced TV series. However, Fury fans will still get a dose of his backstory in the much anticipated Captain America: The Winter Soldier. 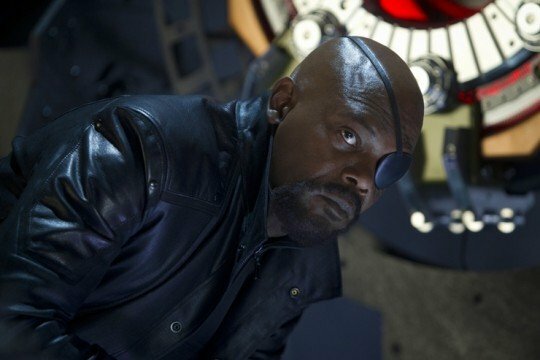 There’s no word as of yet how Nick Fury will be incorporated into the ever-growing story of Captain America, but seeing as how Steve Rogers has no where to go except in the arms of S.H.I.E.L.D., it could very well be an important role and far from just a few appearances to keep consistency. It’s also unknown how or if the TV series will tie into the overarching story of the Marvel Cinematic Universe, but since information is scarce on that as well, only time will tell. What do you think about the news? Would you prefer Nick Fury to have his very own film or are tidbits of information enough in upcoming films, especially that of Captain America? Let us know.